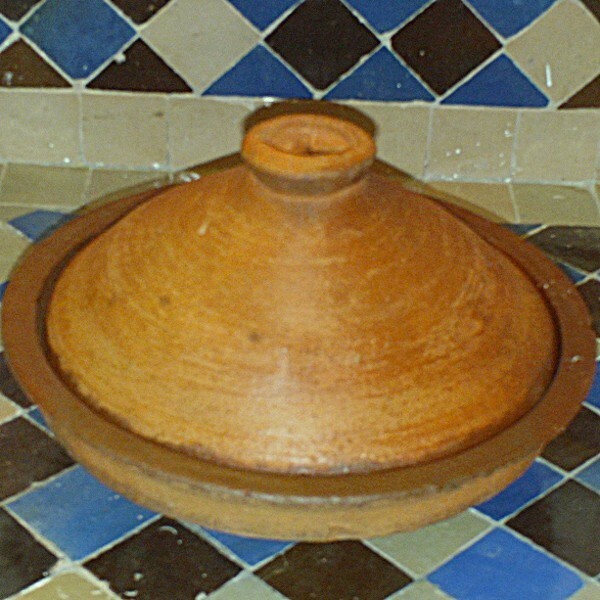 Moroccan Terracotta Tagine for cooking Chicken or Lamb Tagine Recipes of Marrakesh, Morocco. 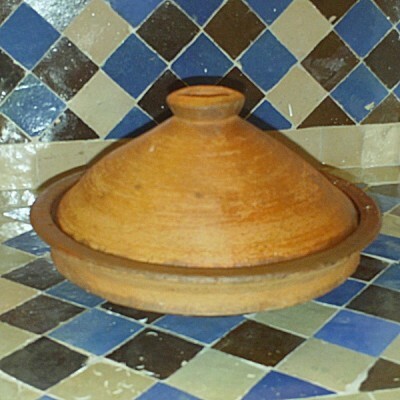 Can be use for cooking Spicy Chicken or Lamb Tagine. Leg of lamb roast (turning to brown on all sides, 5 minutes). Add onion and salt & cumin or "Ras el Hanout" spices, 4 minutes; Then stir in honey and tomato. Add apricots and broth, bring to a boil. Cover, reduce heat, and simmer 1 hour and 30 minutes.